This is a system based around a Raspberry Pi which acts as a low cost portable traffic awareness device. It uses a software defined radio (actually a unit designed to receive DVB-T) to receive transponder (mode C/S and ADS-B) signals, along with it’s own 869 aiqk745.5Mhz transceiver for P3I signals. It integrates with various navigational software (in my case SkyDemon), and has an audio output for alerts. 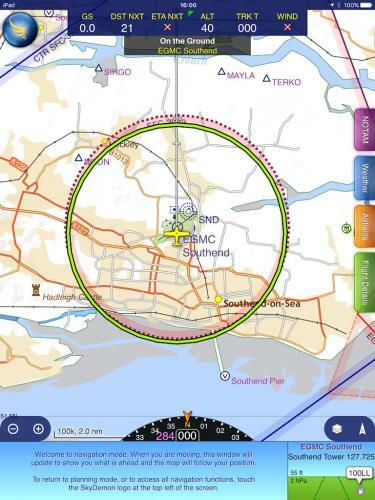 ADS-B: These are aircraft that are sending ADS-B out (also known as Mode S Extended Squitter) – essentially a GPS position that is transmitted specifying exactly where the aircraft is. 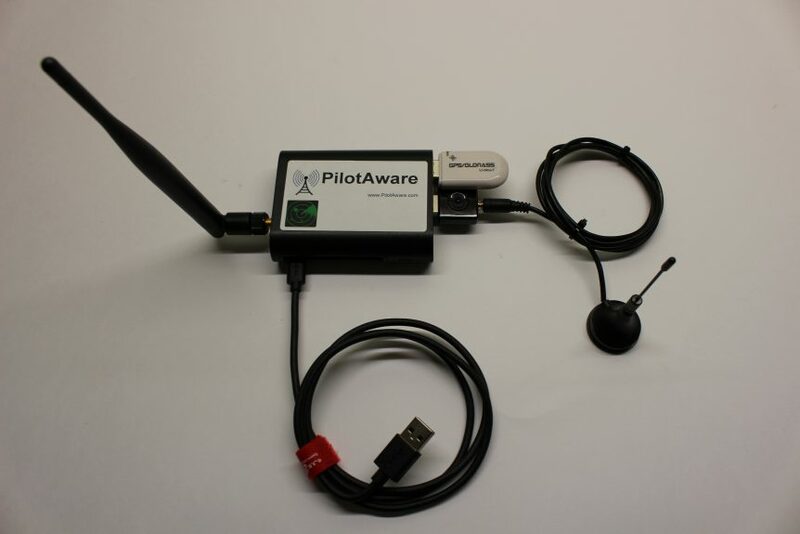 P3I: These are aircraft that are also equipped with PilotAware and are transmitting their GPS position using the P3I protocol. Mode C: This is a standard transponder mode where the aircraft’s altitude is transmitted (technically the flight level based upon the standard 1013.25 pressure setting is transmitted, but this is then converted by ATC etc in to an altitude using the relevant QNH). Mode S: This is a newer transponder mode, that operates in addition to mode A/C where the aircraft’s callsign (e.g. GAVWT) is transmitted, allowing identification of individual aircraft. My aircraft has mode C and S out, but not ADS-B out at present, though it is in principal capable of it thus I hope to have this enabled soon. In addition, depending on the configured thresholds you will get audio alerts indicating the range and altitude difference of any close contacts, in a format very similar to that you get from a traffic service from ATC. After some initial teething problems (in particular I’d enabled the Mode C/S detection, but occasionally PilotAware would pick up my own mode C and report a red danger contact, particularly as I begun climbs or descents – this was fixed by setting a filter option in PilotAware), I now use the system on all flights – the unit sits on the coming, powered by an Anker USB power pack (which typically lasts around 3-4 hours on a full charge), with the ADS-B antenna mounted on the windowsill (picture to come). I’ve found it useful several times, in particular even when getting a traffic service from ATC, if the traffic they are calling is also showing up it can be much more helpful in visually locating it. 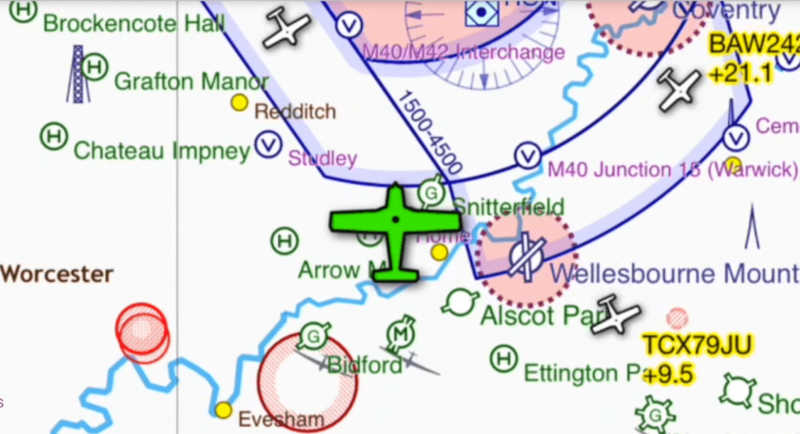 I’ve also had a couple of occassions where it has allowed me to locate conflicting traffic that I hadn’t otherwise yet seen – in particular on one occasion I was flying Eastbound at ~3000′ back to Cambridge, approaching Little Staughton airfield. I was starting to think about getting the Cambridge ATIS, and as I glanced down to get the paper ready to write the ATIS onto, I happened to notice a green traffic ring for an N-reg mode C/S contact at the same level showing on my iPad. Coincident with this I had a traffic notice, and then shortly afterwards a traffic danger audio alert from the PilotAware. Scanning around I spotted a strobe, and then a burgundy coloured single engine aircraft at my 10:00 converging quickly. I descended ~400′ and passed safely underneath. Without the cue from PilotAware, I think I would have at best had to take quite severe avoiding action and probably file an airprox, at worst… There was no indication the other aircraft had seen me as there was no course / altitude changes at all. The unit is quite low cost (~£160), and very easy to set up with nice clear documentation. The GPS receiver it uses is better than those built in to most tablets / phones (when using PilotAware its position is used by your navigation software), and can be placed with a better view of the sky than a typical tablet location. While it is not a panacea to the problem of lookout (it is uncertified software running on an uncertified device, and thus there is no guarantee it will see all transponding aircraft, let alone those which aren’t transponding – it is thus a secondary awareness aid only), as long as it is not used as an excuse to allow the visual scan to degrade, it is an excellent aid to reducing the chances of a mid-air collision (which is one of the biggest threats to a private pilot operating in uncontrolled airspace).